GREAT opportunity to be Professionally and Personally Trained by Frank Ward, for over 24 + years. G-1 Income Property Appraisal & Valuation. North Carolina Real Estate Commission. 2010 NCAR Residential Forms Update. Completion of Notary Public Classes for the State Of North Carolina. 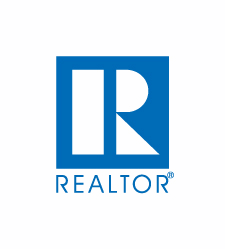 Active Member of the Durham Association of REALTORS. Former BOD for Durham Association of REALTORS. In 2010 was Appointed and approved," Real Property Commissioner" by Durham County Clerk of Superior Court Durham County, North Carolina. Appointed By Clerk Of Superior Court, Honorable Archie L. Smith, III, thru 2020, to serve as Commissioner of Real Estate Durham County North Carolina. My experience level is based on the training implemented by Frank Ward for over 24 + years. Along with schooling and training thru North Carolina real estate classes. Mr. Frank Ward was the BEST teacher anyone could ask for. Mr. Ward was also my mentor, we worked everyday side by side. I give all the credit to Mr. Frank Ward for my background, experience and training! Professional Real Estate Broker, Residential Real Estate, Professional Advising, Estates, Bank owned properties, REO/Foreclosures and Investment properties, New homes & re-sale home sales, Management of clients Investment properties, Other Investments, 1031 tax deferred exchanges, Profit enhancement within investments. Investment property adviser. Marvin Bobbitt, Professional REALTOR, Frank Ward, REALTORS. Marvin is very active in handling his client's needs, and listing and selling real estate. Marvin works closely with his customers, and has an in-depth core knowledge of what his customers are seeking and there final goal. Marvin works with General Contractors, Attorneys, Sub Contractors, HVAC Contractors, Property Managers, Property Owners, Maintenance Supervisors, Asbestos Contractors, Demolition Contractors and Surveyors to keep up with changes in the industry. Knowledge and Experience of the market will help you.